This is the photo of how mine turned out. I found this recipe from Joy the Baker. If you have never used yeast in bread making before, this is a great recipe to get started. 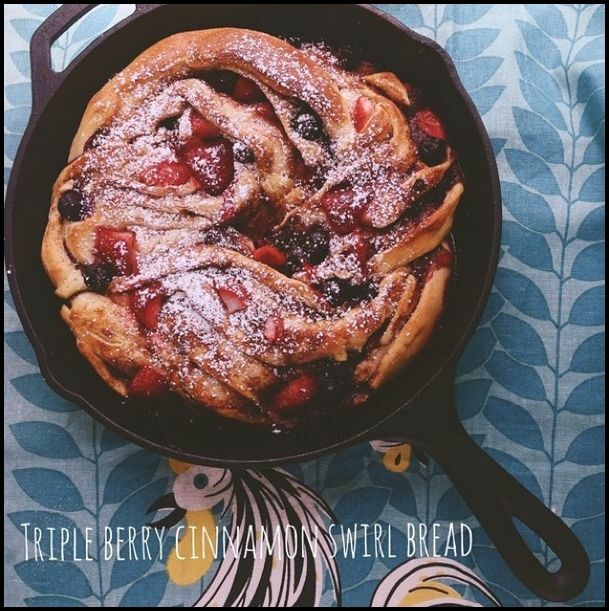 This bread only has to rise once for one hour, then it’s ready to form into a roll with strawberries, blueberries, and raspberries all inside with a cinnamon sugar coating! It can be served as a dessert or with breakfast. ← Arrival on Monarch Waystation Sign!